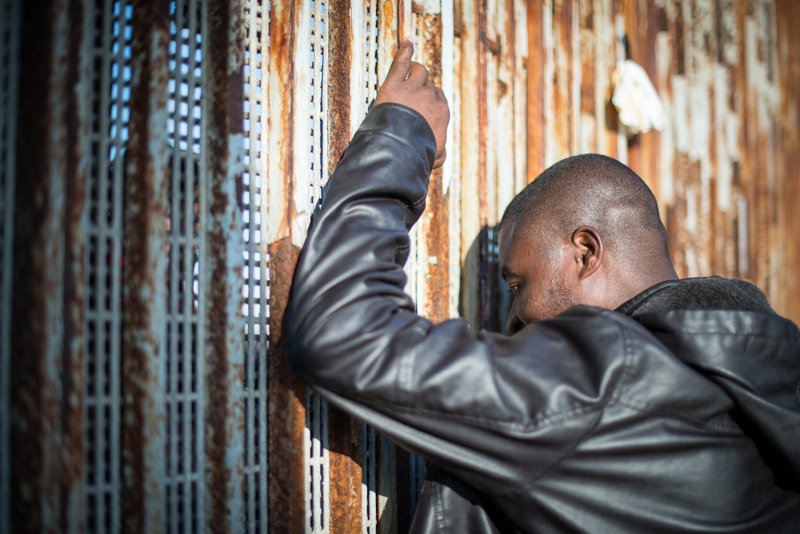 A Haitian migrant talks with someone through the border wall during the binational Posada Sin Fronteras celebration on December 10, 2016. 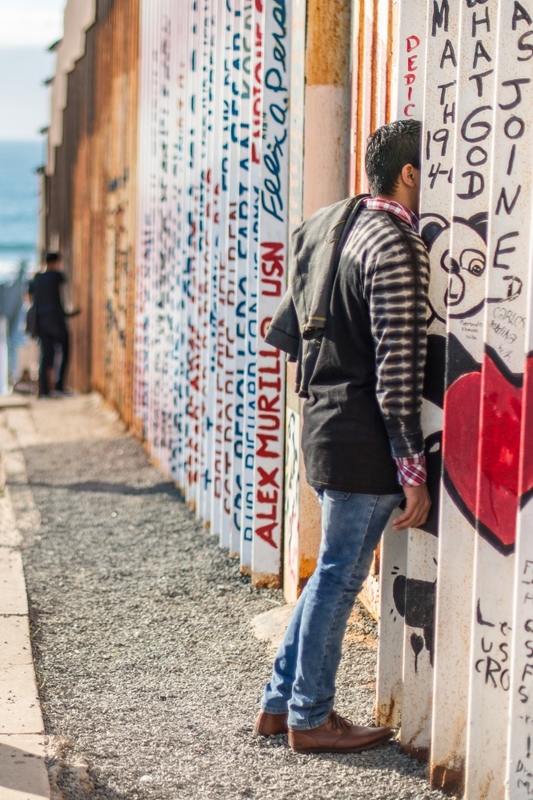 A man talks through the border wall during the binational Posada Sin Fronteras celebration on December 10, 2016. 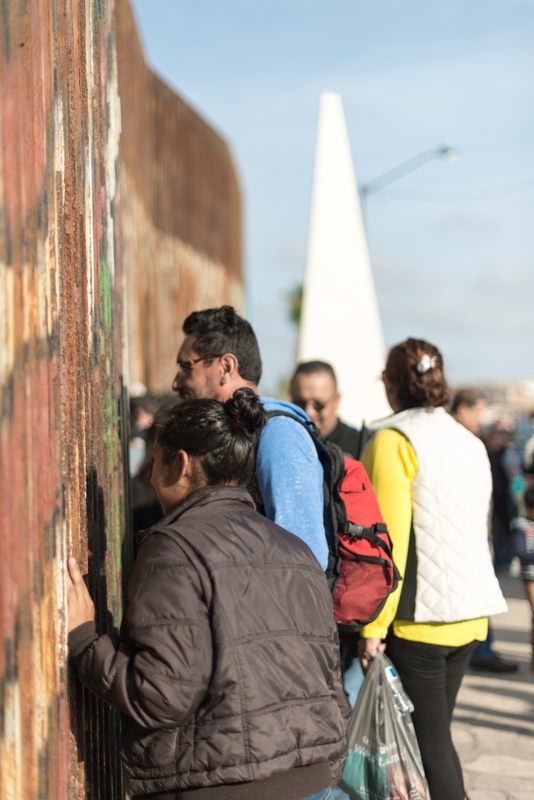 People talk through the border wall during the binational Posada Sin Fronteras celebration on December 10, 2016. 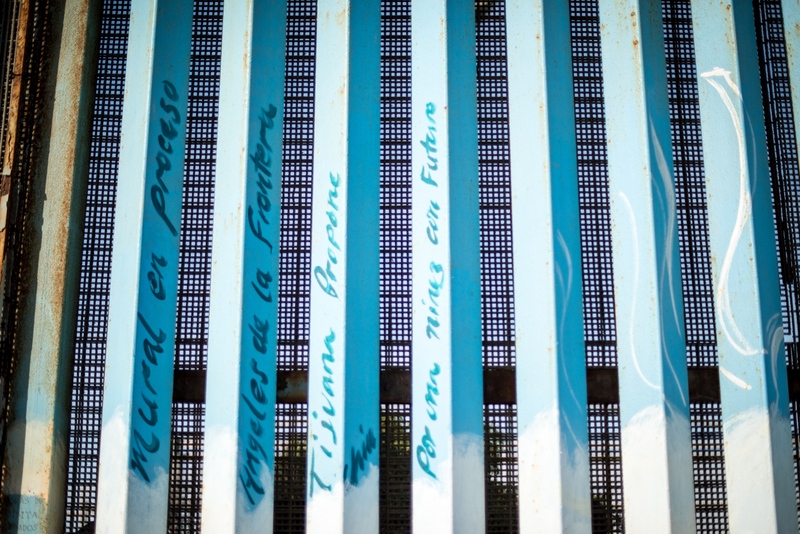 A detail of the border wall during the binational Posada Sin Fronteras celebration on December 10, 2016. 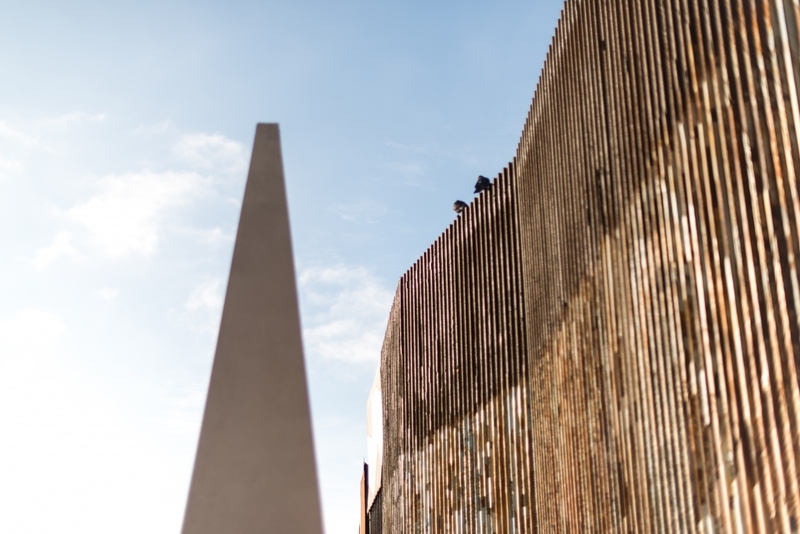 Birds sit on the border wall during the binational Posada Sin Fronteras celebration on December 10, 2016. 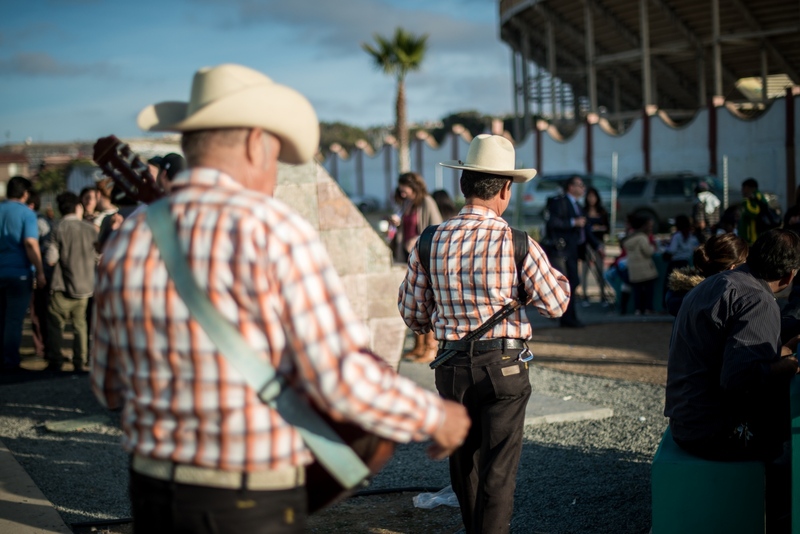 Musicans looking for tamales and champurrado during the binational Posada Sin Fronteras celebration on December 10, 2016. 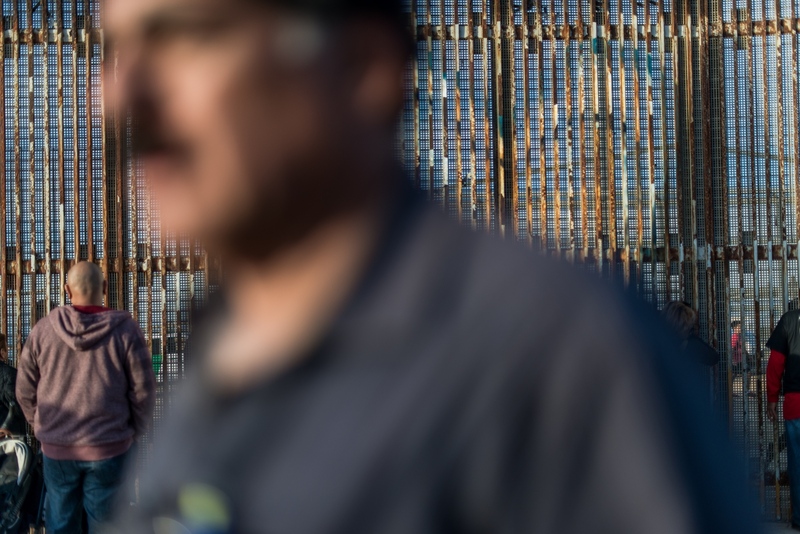 A man walks in front of the border wall during the binational Posada Sin Fronteras celebration on December 10, 2016. 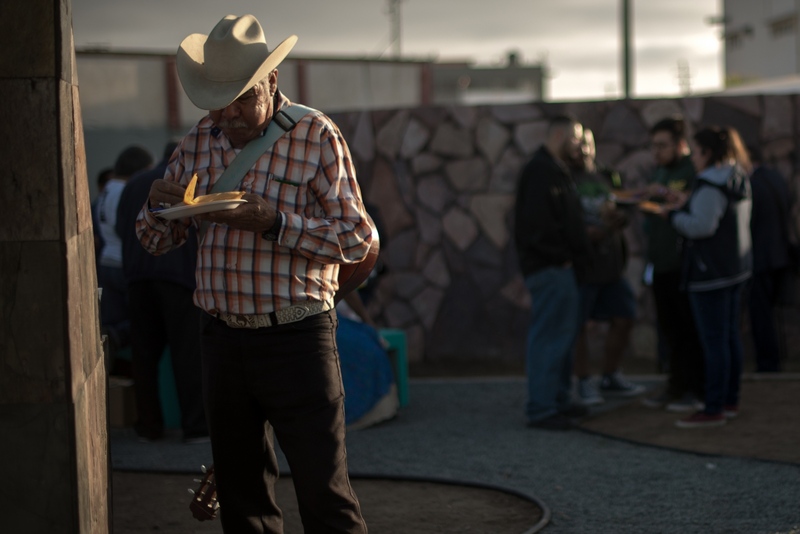 The 23rd annual La Posada Sin Fronteras (Posada, or Lodging Without Borders) is a celebration that took place at the U.S.-Mexico border between Playas de Tijuana and Border Field State Park, re-enacting the story of Joseph and Mary's search to find shelter before Jesus was born. 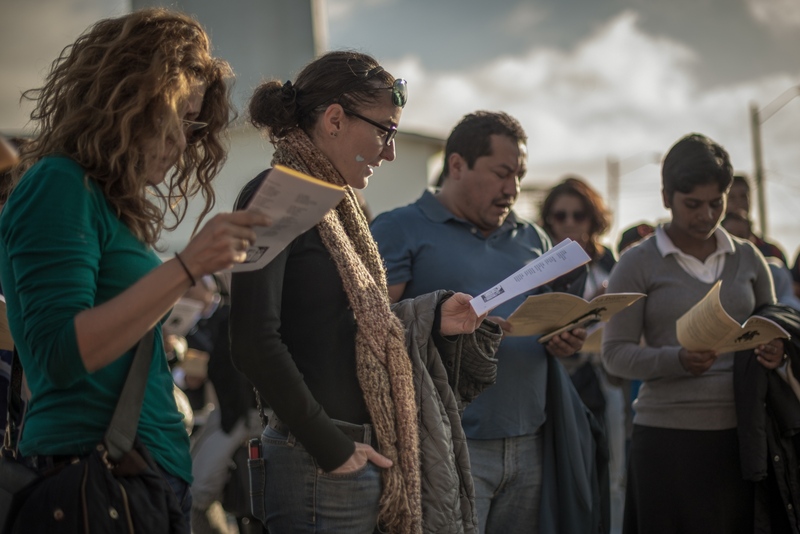 During the 2016 gathering on December 10, participants on both sides of the border sang songs, heard brief inspirational talks, and recited the names of immigrants who had died trying to cross the border during the past year. 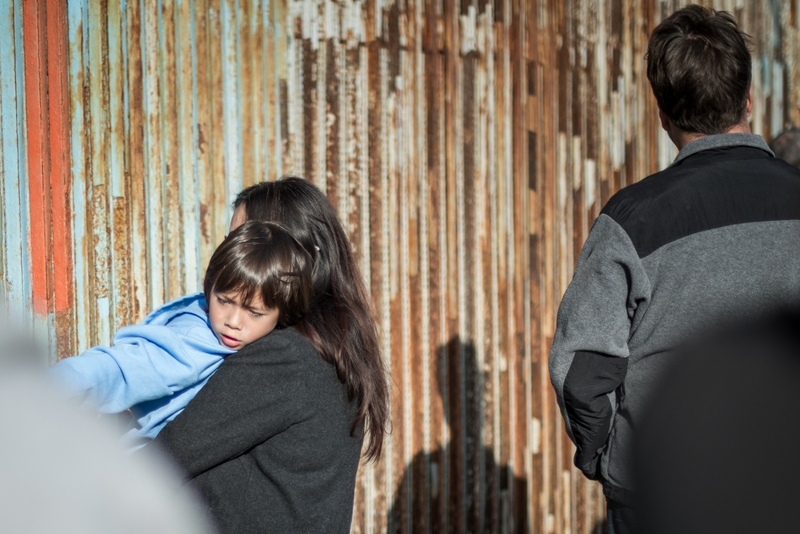 With Donald Trump as the newly elected President of the United States, there is increased fear concerning immigration, the building of the "wall," and the plight of many refugees wanting to enter the United States seeking asylum, as is the case of thousands of Haitian migrants living in Tijuana. I spent the afternoon on the Mexican side talking with participants, taking photographs, and also eating a tamale and drinking some champurrado (a warm, chocolate-based corn drink) offered at the park at the faro, or lighthouse. My photos are impressions from the afternoon and document some of the cultural aspects of La Posada and the borderlands. 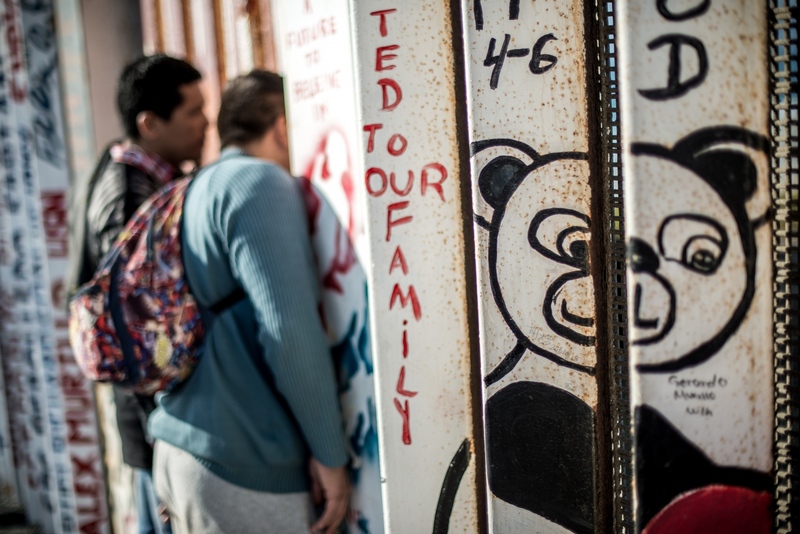 Many of the photos show the border wall because here it already exists in a markedly clear way. Unfortunately, many journalists were hounding the Haitian migrants for interviews and photographs, so it was a bit of a surreal scene. Since I speak fluent Portuguese, I spent a good amount of time conversing with a group of Haitians, as the majority of them have traveled from Brazil searching for asylum and a better life in the United States. Unfortunately, under Trump's harsh policies, the future does not look very bright for any of them. Only the future will tell, and I definitely hope to spend more time visiting with the refugees and hearing their stories of hope for a better future. 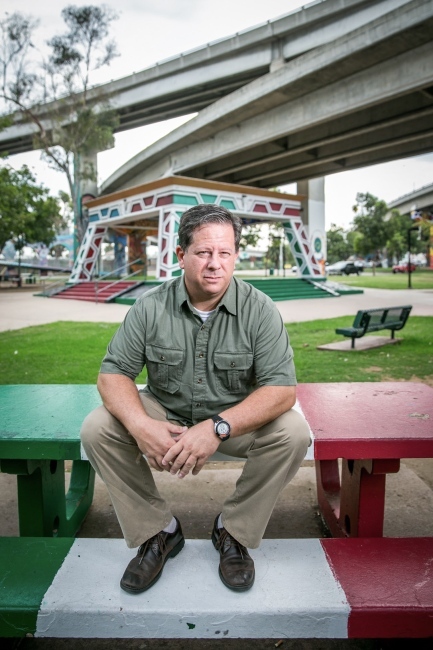 By Scott Bennett — Migrant Caravan, May 2018 A group of over 150 Central American and Mexican migrants camped in tents and under tarps at the El Chaparral port of..
By Scott Bennett — Día de muertos in Old Town Día de muertos is a Mexican celebration that honors those who have passed on by remembering friends and..
By Scott Bennett — During a five-week stay in Rio de Janeiro, Brazil, I spent time at Ipanema Beach shooting photos of groups playing soccer. On an especially..
By Scott Bennett — Coffee with Mamá Güicha On a recent trip to Guatemala to photograph coffee farms, I stopped by to visit Mamá Güicha, my..
By Scott Bennett — Salvation Mountain can be considered a cultural icon. A Mecca for pop culture fans and hipsters alike, Leonard Knight's labor and dedication..
By Scott Bennett — As I explored both Madrid and Sevilla, I had the chance to photograph the urban environtments and visual narrative of the cities. While Madrid..
By Scott Bennett — Lolos y Paleteros Chicano Park is a unique and special place, not only to local residents, but especially to those who have been a part of its..
By Scott Bennett — Fighting for the Hill Fighting for the Hill (Lutando pelo morro) is a photo essay about the Morro da Providência neighborhood in Rio de..
By Scott Bennett — Envisaging Mozambique is a photo essay that celebrates the spirit, children, and culture of Mozambique. Shot during a three-week trip to Maputo and..